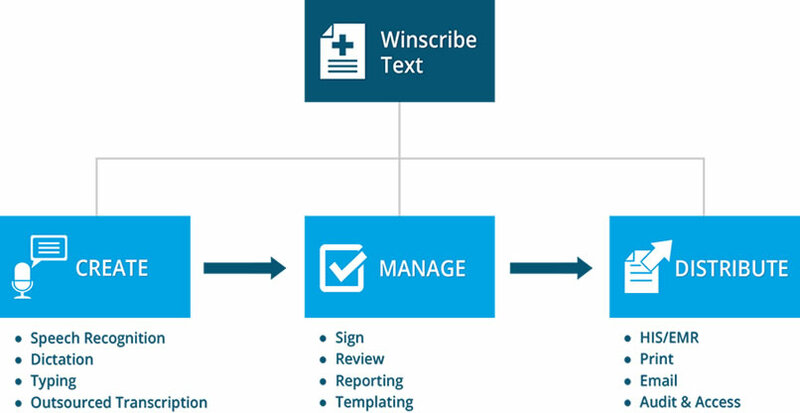 Winscribe Text | Integrated Data Technologies, Inc.
Winscribe Text is a healthcare documentation management system that integrates speech recognition with workﬂow management to optimize every step from report creation to distribution. It takes cost and time out of the process while capturing both free-text narrative and voice-driven templates to generate robust patient information. Meaningful documentation is essential to patient care and the running of a successful health care organization. Give providers the information they need to practice effectively and efficiently. Yet, all too often, documentation is seen as a burden – something that takes time away from patient care rather than improving it. Winscribe Text removes that burden by creating simple yet effective ways for practitioners to capture information in a natural way that allows them to focus on patients. Light network and resource footprint with centralized management of user proﬁles, user preferences, and document templates. Enterprise-level workﬂow built on the latest Microsoft speech recognition technology. Flexible licensing options, including on premise hosting to cloud-based subscriptions. Options for group practices to large hospitals. Winscribe Text manages all aspects of medical documentation and reporting, organized in three functional areas: Document Creation, Document Management and Document Distribution. 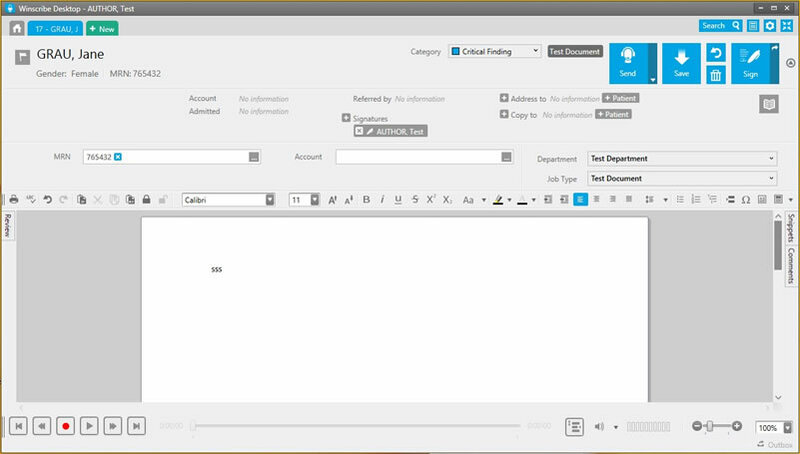 The Winscribe Text user interface has been designed with the needs of user’s as a ﬁrst priority. A modern, intuitive design that people enjoy using helps adoption and reduces fatigue with the system. 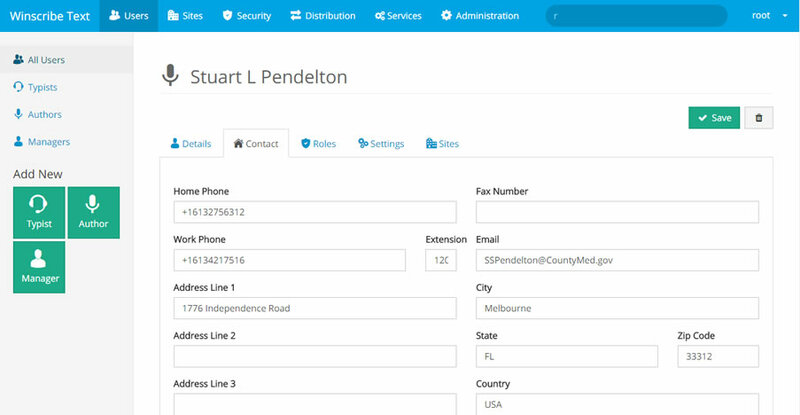 Administrators can quickly and easily manage users, templates, documents, site details, queues and typist from one central location.